HVAC technicians are part of a growing field of professionals that are enjoying career stability and financial stability even despite the recession. This is because the nature of their work is such that they are an indispensible part of any workforce. In fact, a good number of Americans are considering making career changes from corporate jobs to becoming a HVAC technician. To become a HVAC technician, one must begin by undergoing training. This is mandatory for anyone– whether a high school graduate or person looking to shift careers. HVAC training courses are available at various training colleges, technical institutes and even universities within the state. Their HVAC courses may differ depending on specialization, too. HVAC training is divided into classroom hours and training hours. Training hours are especially important to any HVAC course because it makes up the bulk of experience culled by students during the learning process. Most schools will require at least 2,000 hours of on the job, hands-on training with an accredited company. In fact, internship is also very beneficial to students because employers can scope out dedicated aspiring technicians and possibly offer them positions within the company after their graduation. For interested students, they can check out the following schools in Mississippi for their HVAC training. Some of these schools offer flexible class schedules or assistance for licensing and certification upon graduation, ensuring that the student’s success is first in their minds. 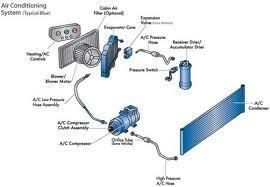 Delta Technical College has a HVAC training program that lasts 34 weeks. They also add on two weeks for review classes for those applying for licensure and certification exams. Students who need to get their degrees in less than a year will be satisfied with the length of DTC’s program. East Central Community College is conveniently located in Decatur. 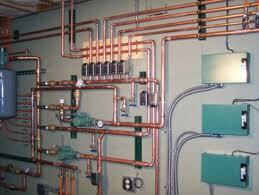 It offers Associate and Certificate degrees for its HVAC program. One of the more reputable schools in the state, it is backed by a good success rate.